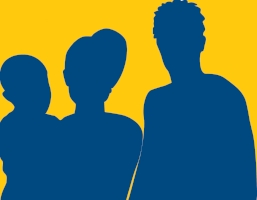 Citizens Advice provides free, independent, confidential and impartial advice to everyone on their rights and responsibilities. In 2016 Citizens Advice services from across the city region joined forces to form Citizens Advice Greater Manchester – a new partnership that will work together to tackle some of the region’s biggest challenges. Citizens Advice has proudly served the people of Greater Manchester for more than 75 years. We have been making sure we are ready to work with the new regional authority to support those living in its communities long into the future. New agreement between local Citizens Advice services working in communities across the 10 Greater Manchester boroughs. Last year we helped 50,000 people in the region take charge of their finances by offering guidance and support on debt and benefits. Helped thousands of families into secure housing, supported victims of crime, worked with people struggling to remain in or find employment and provided access to the skills and advice that will allow parents to give their children the best start in life. Our advice makes communities more independent, saves time and money for public services, and brings income into the region.